Let us take the stress out of the swimming pool opening/closing process by managing it for you this year in the Hickory, NC area. Swimming Pool Opening/Closing in Hickory – Does opening up your pool in the summer and getting it ready for the winter in the fall stress you out? If it does, leave the swimming pool opening/closing process up to us at S & H Pools this year. We have been providing swimming pool opening/closing services in the Hickory, North Carolina area for several decades now and will provide you with quality service starting the minute you get in touch with us. You are ready to bring a water sample to our store for a full analysis! 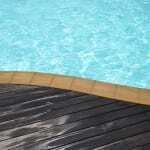 Keep in mind that these are just the standard swimming pool opening/closing services we generally take care of. If there’s something more specific you want done, we would be more than happy to discuss it with you. To schedule a time for us to come and open up your pool for the season or to get it ready for winter, get in touch with us at S & H Pools today. We’ll make sure you are absolutely happy with the quality of our service and our workmanship.